The topic of whether or not to use calculators in the mathematics classroom is a controversial one, leaving calculators underutilized by those who could benefit most from their use, and overutilized by those who misunderstand their role in instruction. In the age of the Common Core Mathematical Practice Standards, there is much talk about the importance of problem solving, mathematical discourse, and using mathematical structures. Calculators may seem to be a workaround, short cut, or even counterproductive to these types of thinking activities. And yet, in some cases calculators can help teachers instruct, can help students show what they know, and can serve as tools most appropriate for just those practices: problem solving, discourse, and structure. 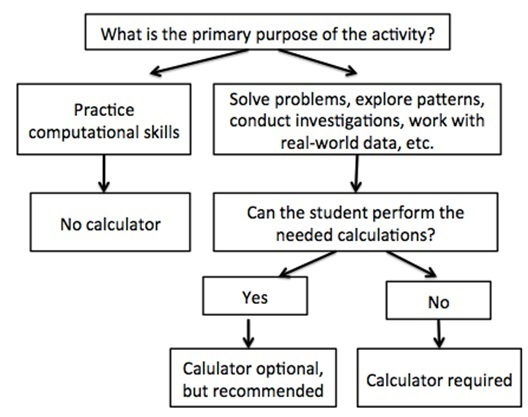 In the article “Beyond ‘Getting the Answer’: Calculators Help Learning Disabled Students Get the Concepts,” the Center for Implementing Technology in Education (CITEd) describes in detail how calculators can be used for teaching and learning, and presents the “Calculator Decision-Making Flow Chart” to guide educators in determining appropriate calculator use. Students with math related disabilities have difficulty with fact retrieval, memory, calculation and language. 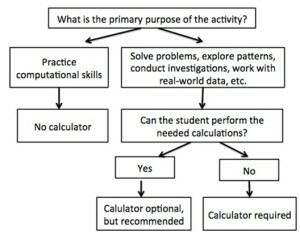 Using calculators to solve problems, explore patterns, conduct investigations, and work with real world data reduces the load on memory and fact retrieval, aids in accuracy of calculations (where students are able to set problems and identify appropriate routes to solutions on their own), and can serve as a springboard for communicating mathematical thinking. 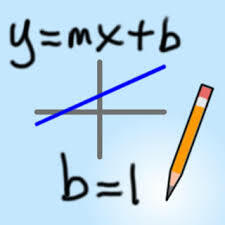 Graphing calculators and calculators with dynamic geometry capabilities serve as sophisticated visual aids to which students may refer when explaining their thinking. Calculators are available at all price points, with a variety of functions, and that address various disabilities. Size – Will your students be able to physically use the buttons and read the display? Capabilities – Does the calculator do everything your students need without distracting them with options they do not yet need? 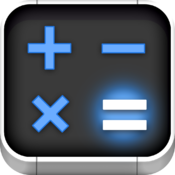 Class sets – Do you need enough for each student to have his/her own calculator? Teacher display – Will you use the calculator for instruction only, and do you need a calculator or could you use a software-based equivalent? 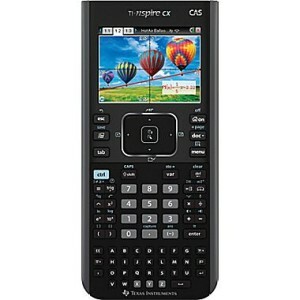 Texas Instruments – This company sells a variety of calculators for all ages and grades. Their Nspire and TI series come with software, classroom management systems, hardware and peripherals that expand the capabilities of these graphing calculators. Fluid Math – This product takes handwriting and writing gestures on a screen and turns it into rendered digital text, graphs, tables and sliders. It is available as an app, online, and as a software download. 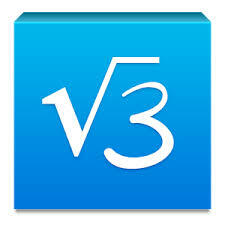 MyScript Calculator – This free app turns handwriting on a screen into rendered digital text and solves. Tagged calculators, Kate Fanelli, math, MathTech. Bookmark the permalink.